When I was a little boy I had a magnifying glass. It was awesome. I could see things in the backyard that I could never see before because it made everything bigger. 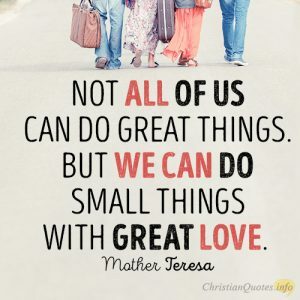 That’s the idea of Mother Teresa who wasn’t concerned about doing great things on earth…but even the small things, if done with great love, would magnify the love of God. We might be the only “Bible” some people will ever read. 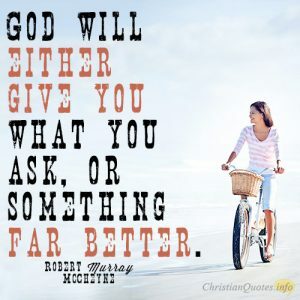 When I say we can magnify works, I don’t mean that we do works in order to be saved and we don’t boast about our works. We know our best works are dirty, filthy rags to a holy and perfect God (Isaiah 64:6), and a million good deeds could never save us (Eph 2:9). 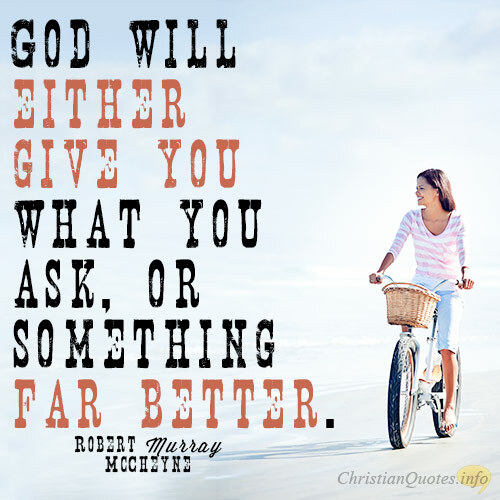 What I mean is that we have works that God long ago planned for us to do, just as the Apostle Paul said, we were “created in Christ Jesus for good works, which God prepared beforehand, that we should walk in them” (Eph 2:10). When others see your good works, they might look for the One Who has planned them for you long ago…and perhaps, some might be saved. The greatest magnification of God, and indeed, the love of God, was done on the cross by Jesus Christ. Here is a holy God Who loved us first. He made the first move (1st John 4:19), and to magnify this love, Paul writes that “Christ died for the ungodly” (Rom 5:6). That’s us! Even so, “God shows his love for us in that while we were still sinners, Christ died for us” (Rom 5:8), and incredibly, “while we were enemies we were reconciled to God by the death of his Son” (Rom 5:10b). Doesn’t that magnify the love of God? 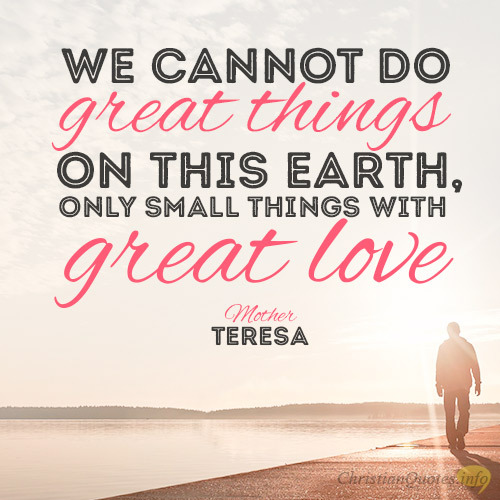 None of us are likely to do great things here on earth, but all of us can do small things, done with great love. 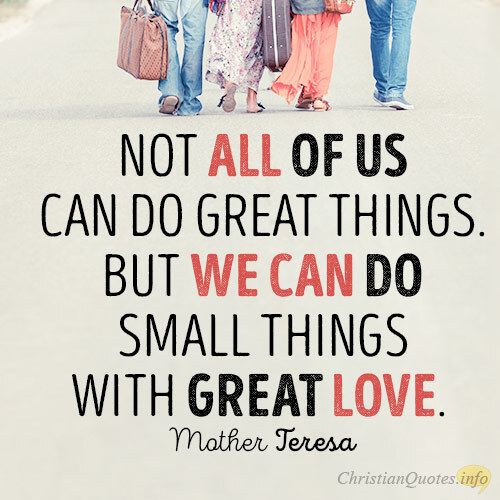 That was the life of Mother Teresa. She magnified the love of God; she magnified the works of God; and she magnified the Son of God. I pray we can all do likewise.